Due to the financial constraints back home, Shoukat Ali was not able to travel to the Mumbai office of his firm to claim the PF of Rs 52,000. Here is a heartwarming story of how a Mumbai Police officer helped a man from Jammu and Kashmir claim his provident fund. The Kashmiri man, Shoukat Ali, used to work with a Mumbai-based private firm in Srinagar in 2013. Due to the financial constraints back home, Ali could not travel to the Mumbai office of the firm to claim his PF of Rs 52,000. Having no knowledge of the internet, Ali couldn't even fill the form online to complete the process. As Jammu and Kashmir is faced with regular internet shutdowns and low-speed services, Ali was unable to complete the formalities online. Faced with a financial crunch and a need to pay his daughter's educational expenses, Ali called Mumbai Police officials to seek help. He had been requesting the management of the firm to help him get his PF but they paid no heed. Finally, the Kashmiri employee telephoned the Charkop police station of Mumbai. 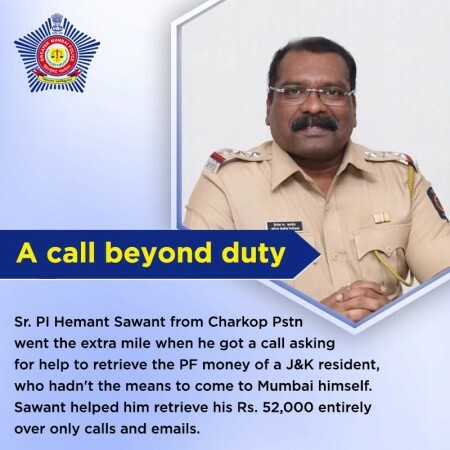 He managed to speak to senior inspector Hemant Sawant who agreed to help him. 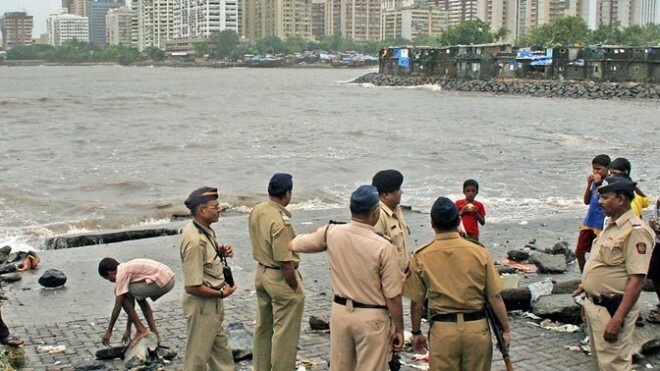 The cop, in a rare example of humanity, decided to help Ali claim his PF without having to come to Mumbai. Sawant went to the firm and later couriered a form to Ali and called him to explain why there was a delay in the release of his money. Ali later filled the form and sent it back to Sawant who submitted it at the firm. Ali told Hindustan Times that he was indebted to Sawant. "Although I have never met Sawant sir, he went out of the way to help me," he said. He said that the firm has assured him that he will get the money in his bank account in next 15 days or so. "I couldn't afford to travel to Mumbai from Srinagar which would have cost me Rs 10,000," Ali added.